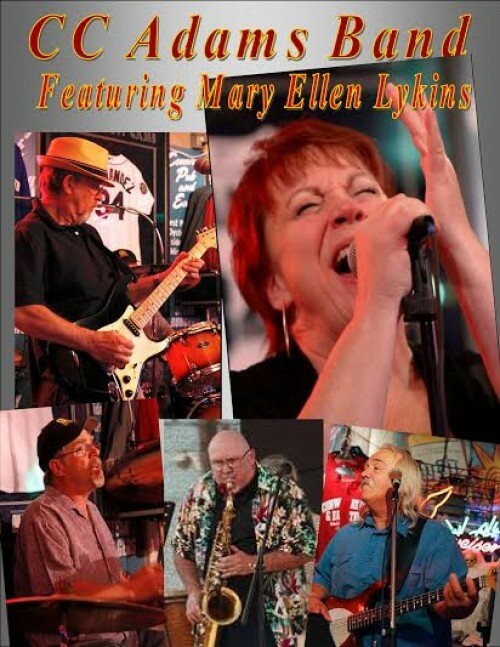 CC Adams Band – The CC Adams Band featuring Mary Ellen Lykins performs with passion and Mary Ellen is the icing on the cake. There’s no mistaking the voice…. Mary Ellen Lykins is a powerhouse best typified as the power of Etta James with a bit of Janis Joplin grit thrown in. The band’s roots are in the Blues with a funky bit of R&B and a dash of tasty rock mixed in for flavor. Thwarting the conventional, the band thrives on unique arrangements. The CC Adams Band were Semi finalists in the NW International Blues Competition 2014.